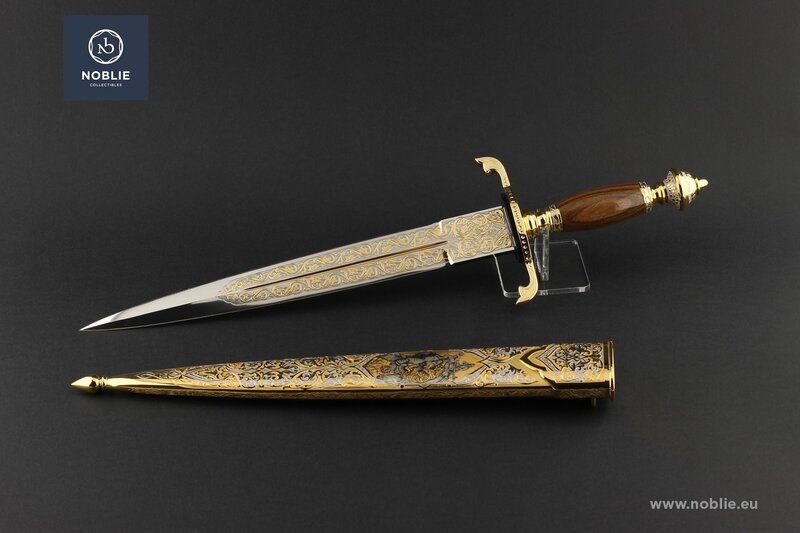 Forging, etching, polishing, engraving, nickel plating, gold plating, blackening, inlay, fretwork. 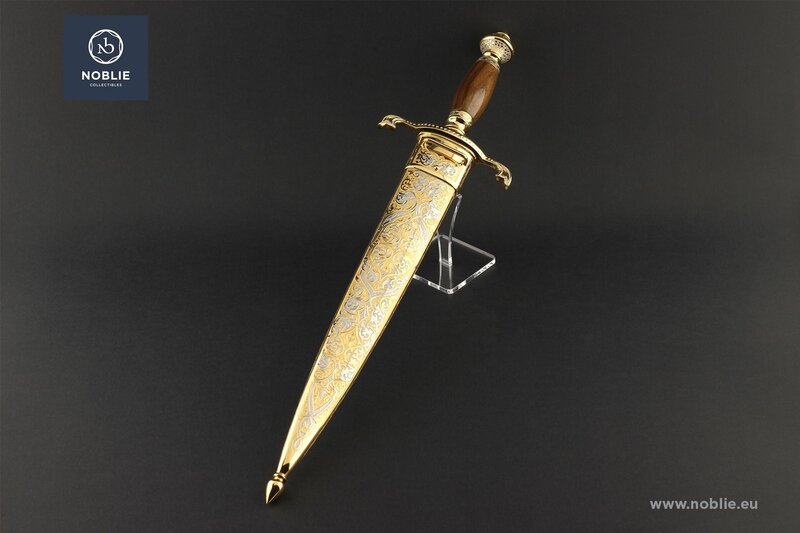 Blade of Stainless Damascus steel with decorative furrow and engraved and gilded ornaments on both sides. Handle made of assembled metal and wooden parts. Walnut grip. Brass made and then gilded cross guard with two inward curved quillions. 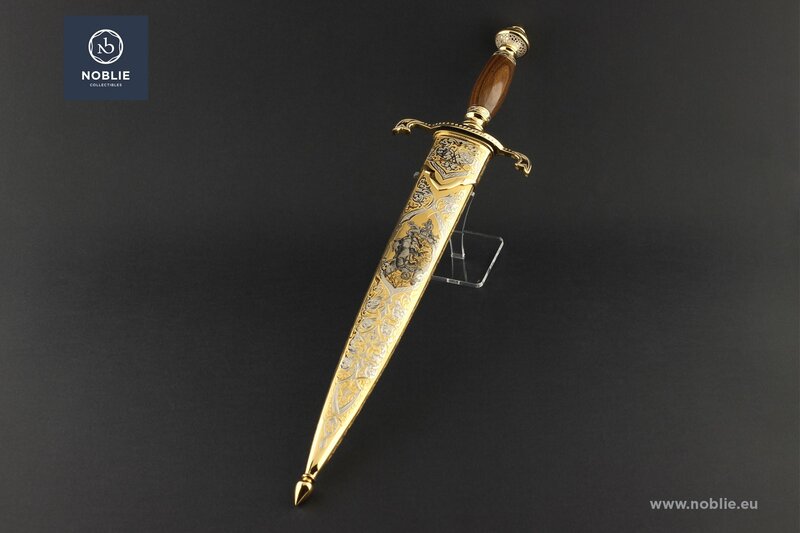 Dome shaped brass made and gilded pommel. Semi-precious gems additional inlay. 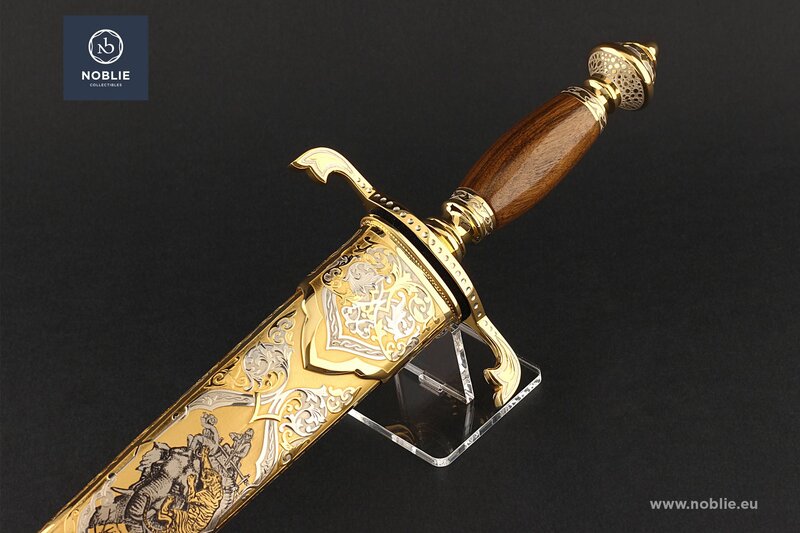 The scabbard is all-metal forged with decorative mouthpiece, chape and tip. Depiction of a scene of hunting on the back of an elephant and attacking lioness. 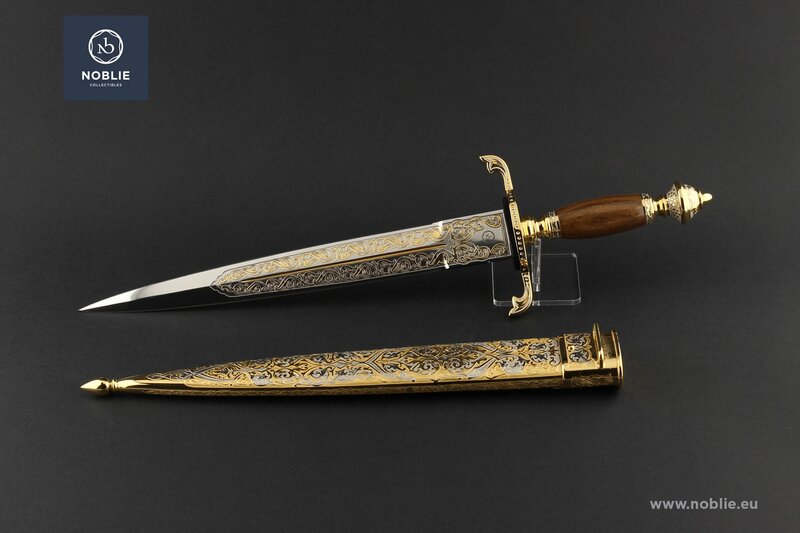 Additional ornamental engravings. Gemstone inlay. 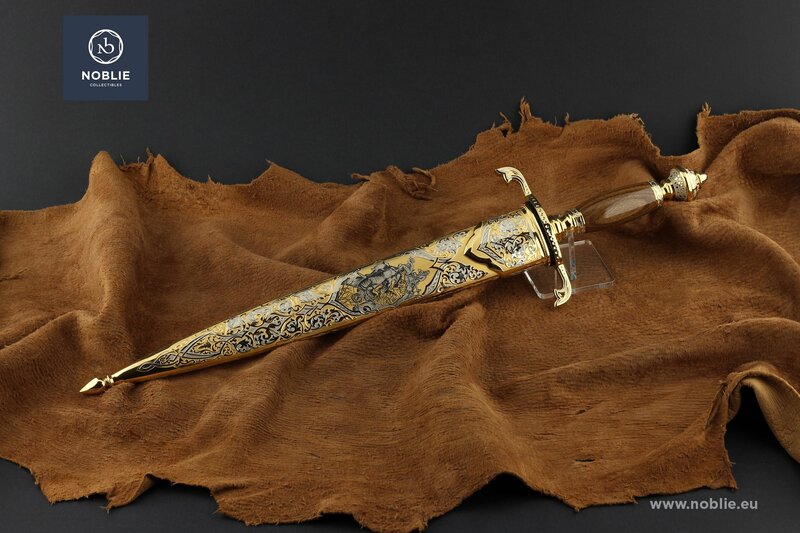 Collectible piece of knife making with dedication to the men with adventurer spirit. Knife "The Pyramide of Cheops"